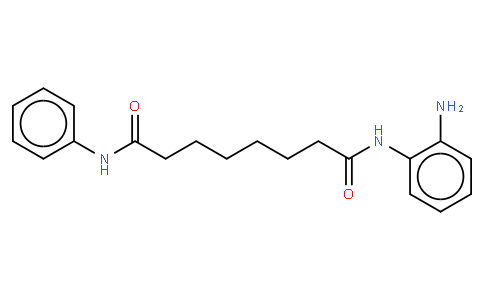 BML-210, also known as CAY10433, is HDAC inhibitor. BML-210 induces growth inhibition and apoptosis and regulates HDAC and DAPC complex expression levels in cervical cancer cells. BML-210 can inhibit cell growth and induce apoptosis in cervical cancer cells, what correlates with down-regulation of HDAC class I and II and changes in the DAPC expression levels.